Whilst it’s reassuring that a firm that usually gets everything so right … occasionally doesn’t … it is mind boggling how much a bad hire can cost. I mean, there’s the obvious cost of having to recruit all over again and the fact that you invested in things like induction and training of the last guy but there are hidden costs too. Hidden costs like having someone underperforming in a strategically key role, for example. Then, there are the hidden, hidden costs. Although I have never been totally bought into that maxim that A’s hire A’s, B’s hire C’s, C’s hire F’s, there is significant evidence that great talent attracts great talent – or as one of my friends puts it “there’s a reason why a circus has more than one clown”. The impact that poor talent choices have on morale and your power to attract the best talent in the future can be huge. Here are six ideas … all instantly do-able! This doesn’t mean having a jazz quartet playing in reception to welcome candidates (although how at ease would they all be?!). Recruiting based on cultural fit is key to a good hire. Fitting a square peg in a round hole rarely ends well – for either you or the person you hire. Once you have identified the culture that you have or would like to have recruiting based upon it gives you a blueprint of the ideal candidate. In a recent example, a firm with “We either succeed or we learn but we never fail” written into its mission statement hired a Project manager who previously worked at a company where mistakes led to such penalties and derision that they got hidden. The open culture of the hiring business and the more “buttoned up” nature of the PM were a terrible match and within a year the job was re-advertised. 2 – Your Recruitment Partner Must Know You. How Will They Know A Good Match Otherwise? With the above in mind, when choosing a recruitment partner, make sure that they are prepared to put in the spade work to get to know you … how you work … what makes you tick. Simply choosing a specialist recruiter might not be enough, the perfect candidate for exactly the same role at two different firms might not be the same person. So, your recruitment partner has to know your industry (that’s a given) but to be really effective they have to know you and your culture. Working with a client once, after a bad hire, we spent some time working out what had gone wrong in the past so that we could avoid the same mistakes in the future. What amazed me was that both the HR manager and the CIO had had doubts but the CEO, who had the casting vote, liked the guy so they hired him. When I drilled down further with the head of HR and the CIO it was nothing more than a hunch … nagging doubts … but doubts none the less. If you had a doubt about the sobriety of your designated driver would you let him drive you home? If you had a doubt about the structural safety of a house you were viewing would you buy it? The point is that doubts are red flags that are put there to make you stop and think. Hiring matters, trust your instincts … if you have a doubt ask more questions. If you’re still in doubt let them pass on to the next vacancy, don’t hire for the sake of filling yours! When you imagine the perfect hire you create a profile against which to measure applicants. For instance, if your IT Project work means enthusiastically working late nights and weekends, including this in your job ad increases your chances of attracting someone like that. I remember one hiring firm who had this very need but they omitted it from their ad because they ‘didn’t want to put off potential talent’. In reality, the only candidates put off would be ones not willing to work late nights and weekends … which is good, right? By being specific, you begin the process of filtering for the best hire right from the start. TOP TIP – Consider having your ads and role profiles written by subject matter experts. Peer Profiling is perhaps the most potent tool deployed in recruitment. You want candidates profiled by Subject Matter Experts, ie, someone who performed the project or programme role you are looking for. Project Managers profiling Project Managers, for example, makes perfect sense and adds an extra experience based element to the shortlisting process. Most bad hires have looked great on paper – the HR manager or recruiting firm has measured the applicant against a tick sheet of candidate requirements and checked every box. Often you need to have done the job to recognise suitability for the same role in others. Peer Profiling by Subject Matter Experts is, in my opinion, the best way to achieve this. If you bought a dishwasher, a television or a vacuum cleaner and within three months it wasn’t fit for purpose would you happily just go and buy a new one? No, you’d take it back to the shop and get a replacement or a refund. 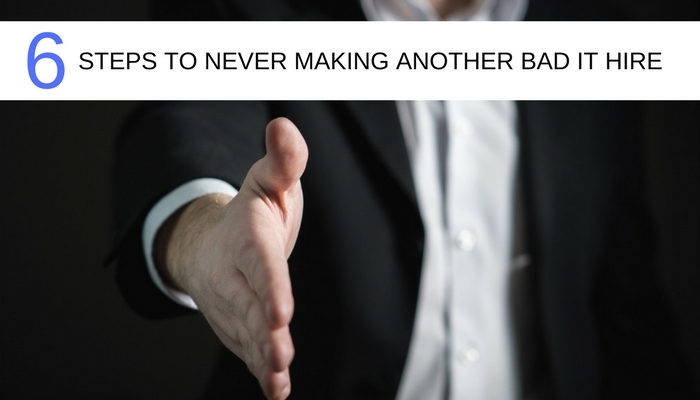 So why, when you hire through a recruitment partner should you put up with talent who is not matched to your requirements? Why should you pay (again) to replace them with someone who is? The best specialist recruiters will share the risk with you. If they won’t put their money where their mouth is why should you? Shared risk should mean no retainers or upfront costs. It should mean fees spread over a significant period of the candidate’s initial employment. So if things don’t work out … you stop paying. Previous IT Project Management boring? Are you sure you’re doing it right?